WATERFRONT ACREAGE - *The Buy of Lake Livingston* - Approximately 3 Stunning Acres creating the most beautiful Point on the Lake with 668' Waterfront. This 'One of a Kind', gorgeous piece of property cannot be duplicated. Located in premier area of the lake in huge Cove that offers sheltered waters and wide open lake views. Beautifully landscaped with stately trees and gardens. This property is listed for Lot Value only and under assessed value! 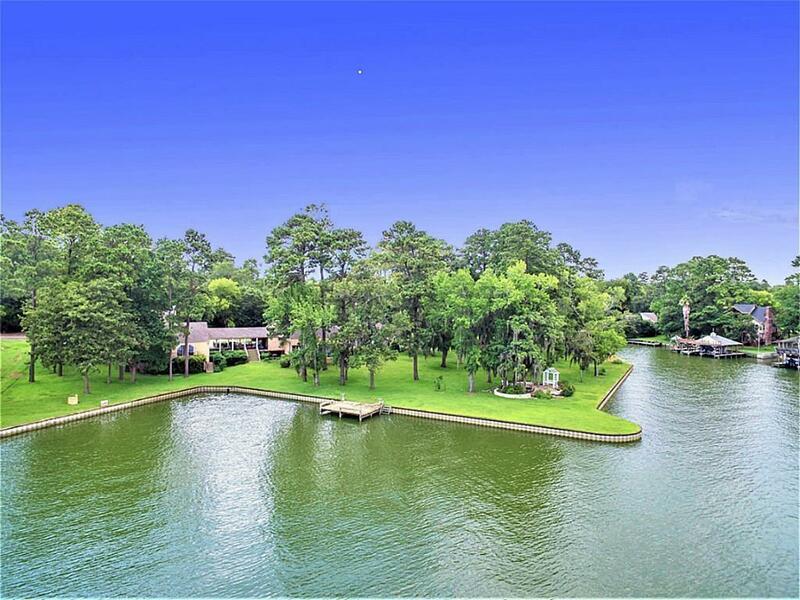 The perfect waterfront haven to build your dream home. To be conveyed with property at no further cost is the stately home with Guest House and Garage Apartment, over 5,000 sq ft Living Area. The home is stunning with Great Room, Chef Kitchen, Incomparable Fireplace, Wrap Decks - a grand residence in good order and will be gifted with this waterfront property making this the Buy of the Lake. Photos of home included. Pristine Property for considering Waterfront Acreage for New Build, Home for residence until ready! Survey is available. © 2019 Houston Realtors Information Service, Inc. Information is provided exclusively for consumers' personal, non-commercial use, and may not be used for any purpose other than to identify prospective properties consumers may be interested in purchasing. All information provided is deemed reliable but is not guaranteed and should be independently verified. Listing courtesy of Keller Williams Realty.